Used externally for treating minor wounds and skin irritations, slippery elm may promote healing. In his book “The Health Professional's Guide to Dietary Supplements,” Shawn M. Talbott recommends the herb for treating poison oak and superficial wounds. 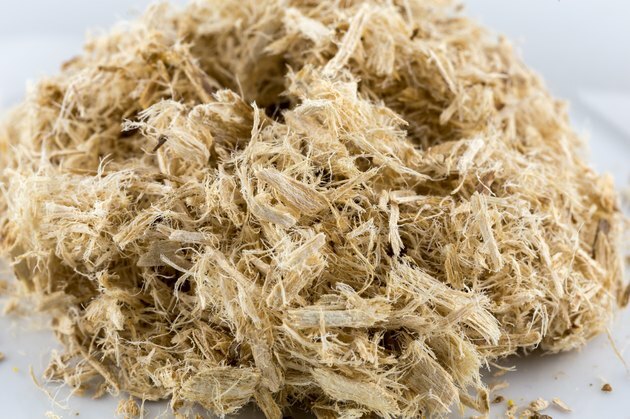 Though no evidence exists to back up these claims, herbalists often use slippery elm for soothing the pain caused by burns, scrapes, boils, rashes, skin ulcers and other minor abrasions. For external use, the University of Maryland Medical Center advises mixing coarse, ground slippery elm bark powder with boiling water to make a poultice, then applying to the affected area. They advise people never to use it on open wounds, however.